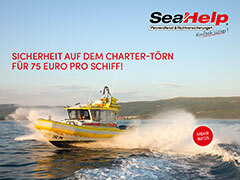 Prices include spanish VAT 21%, crew of three persons, complete week, equipment detailed and insurance. Not included: moorings, fuel, transfers to/from airports. 20% APA required for expenses. Ask for routes available in Canary Islands during the winter: 7 or 4 days. Fully equipped with air conditioning in all cabins, HIFI and video systems, generator, BBQ and wetbar, WIFI, complete kitchen, water and pressure maker, washing machine, electronics. Sunbathing and relaxing big areas in fly, cockpit and bow. Toys: 2 bikes, fishing gear, snorkel equipment, electric diving compressor, 2 water toys, skis + Obrien Wake, 2 Naish Paddle Surf, Double Kayak, BWA tender 4m + Yamaha 40hp, Playstation and Wii Games. Beautiful catamaran for rent in Islas Baleares with two crew members. Enjoy the most exclusive corners of the islands with this comfortable and modern Sunreef 62.